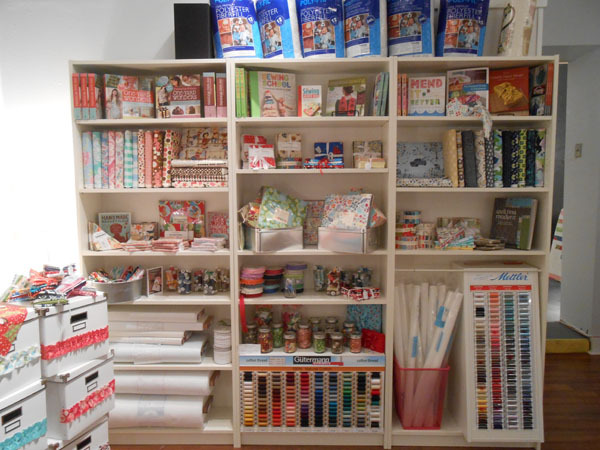 Today I am sharing a beautiful office/craft room I found at Bower Power. 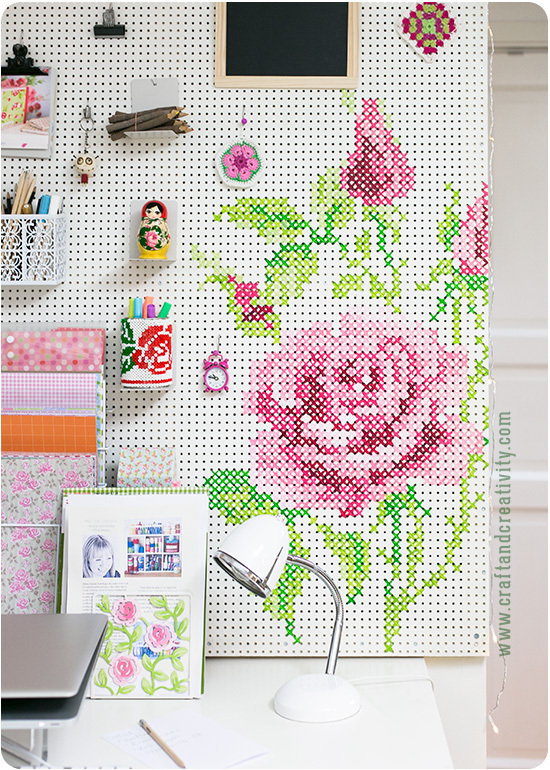 This room functions as both an office for them as well as a place to sew, craft and blog. This is a pretty tall order for one room. The room, as well as almost everything in it got a fresh coat of paint, including this fantastic green bookcase and red chair. 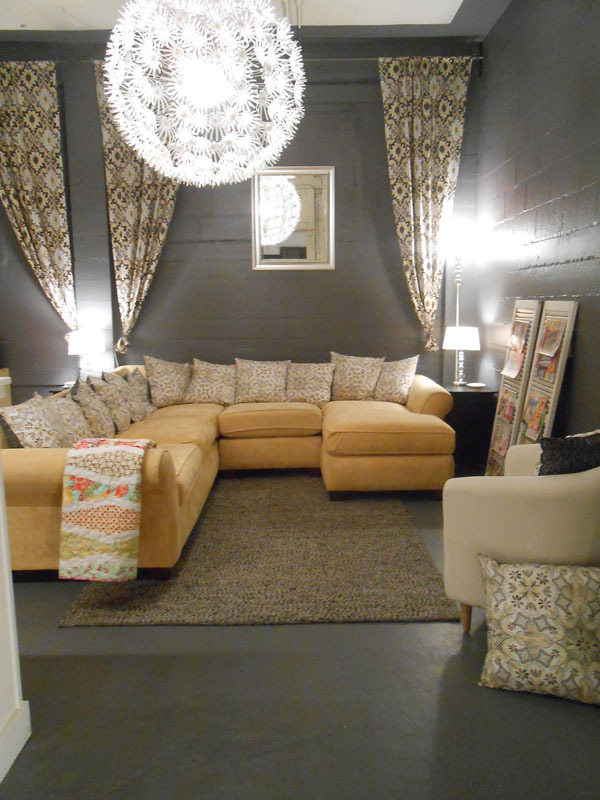 I love the subtle color on the wall with the pops of color in the furniture. 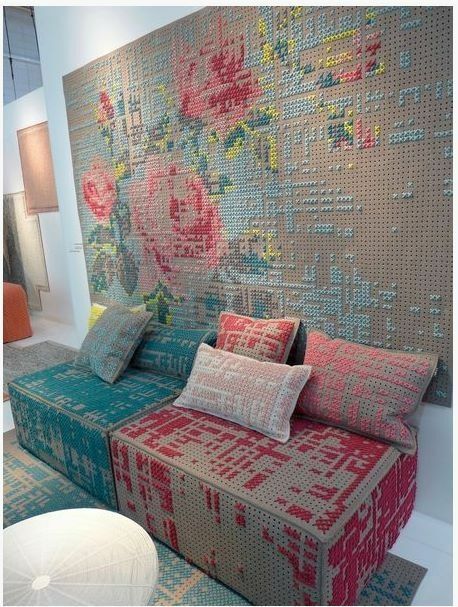 The pieces really stand out but don’t make the space look too busy. 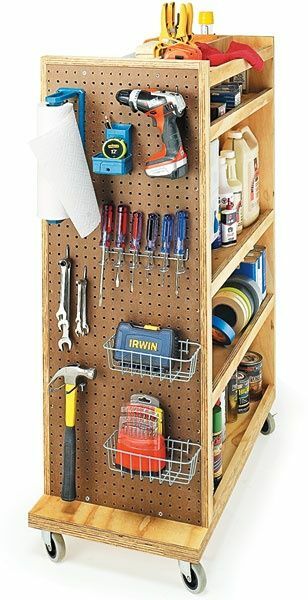 She corralled her crafting and sewing supplies into a shelving unit near her sewing machine to make it easy to do her projects. But my favorite thing in the room (must be my inner office supply hoarder) is the giant white board she has on the wall. What a great place to write ideas, keep track of projects, etc. Be sure to head over to Bower Power to see the amazing before and after. You won’t believe your eyes. 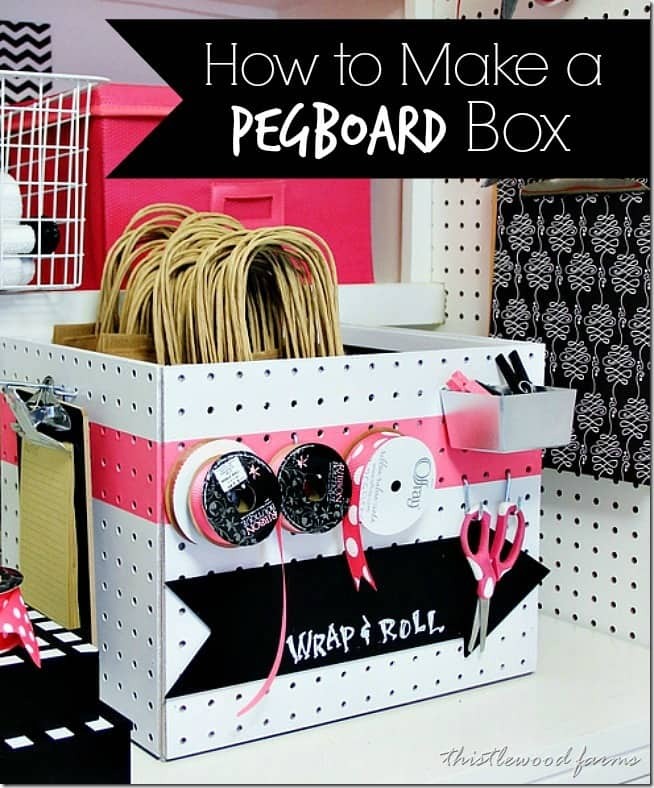 Tell her Craft Storage Ideas sent you! 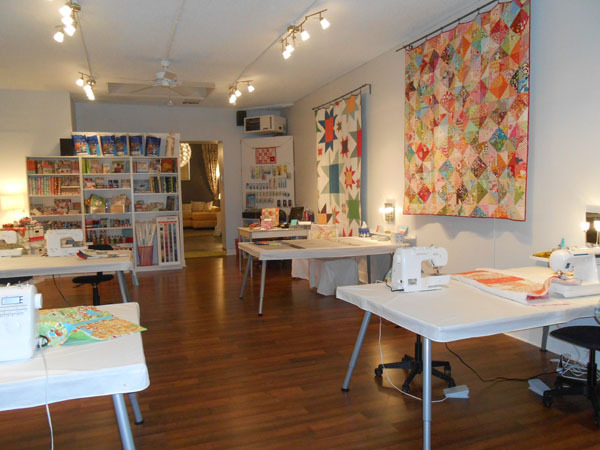 Hi friends, Lisa here with a bright fun sewing studio to share! I came across the Maple and Magnolia blog through pure accident the other day. You know a link from Pinterest followed by another and then another! 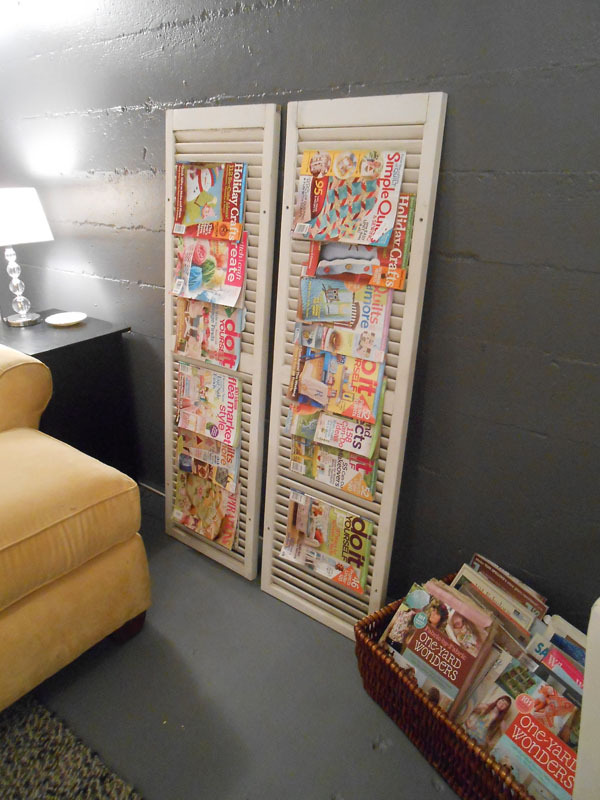 After stumbling upon Susan’s cute and well organized sewing studio, I knew it was something you would enjoy. See what I mean! Isn’t this a sweet happy space to create in! You can find all of the details on her room here. Most of the decorating items in this studio are from Ikea, Home Decorators, Target and World Market. 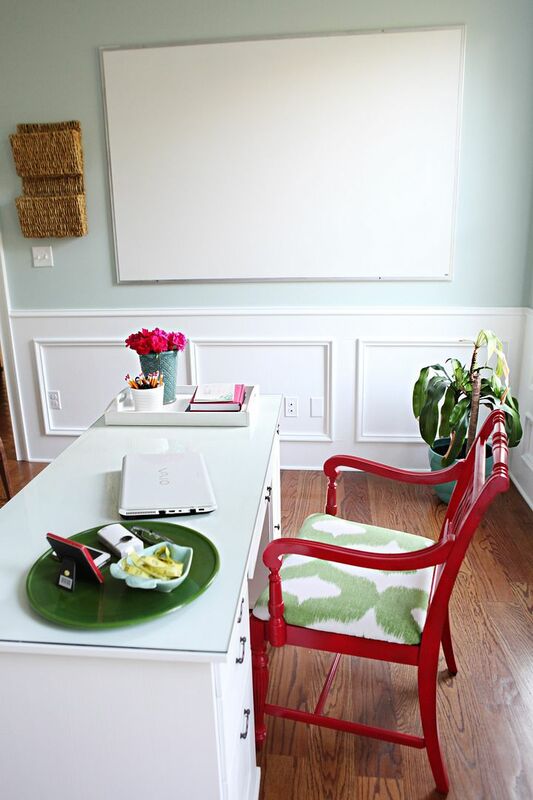 Love this perfectly displayed and organized storage unit flanked with those colorful bulletin boards. 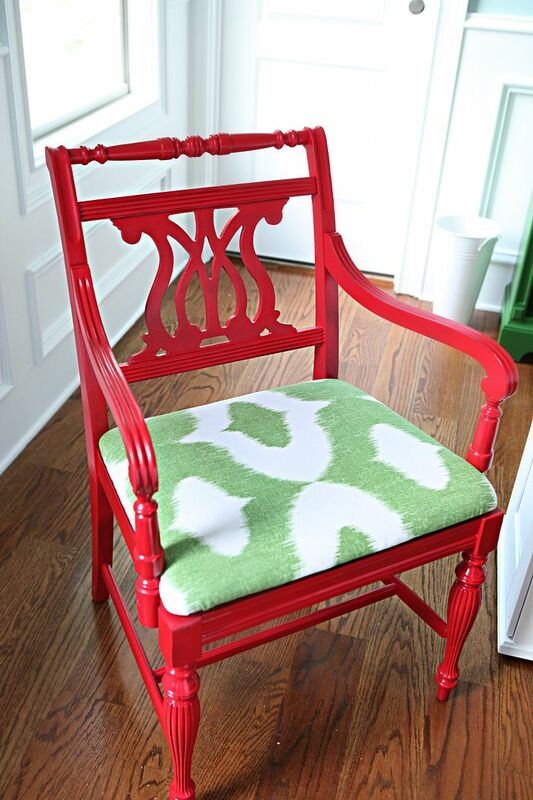 A cute design in the aqua chair back too! 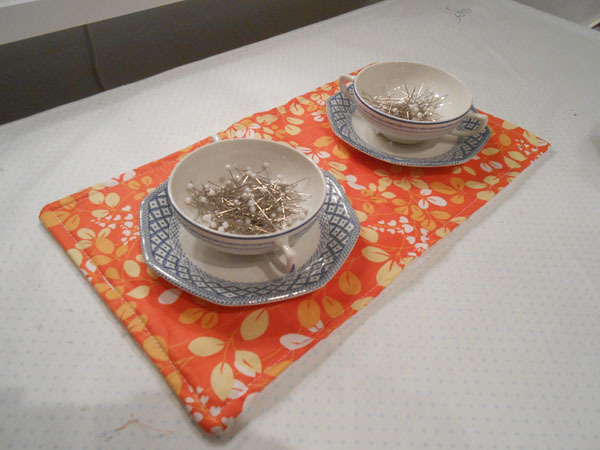 Pincushions and trims nestled on a cake stand ~ cute idea. 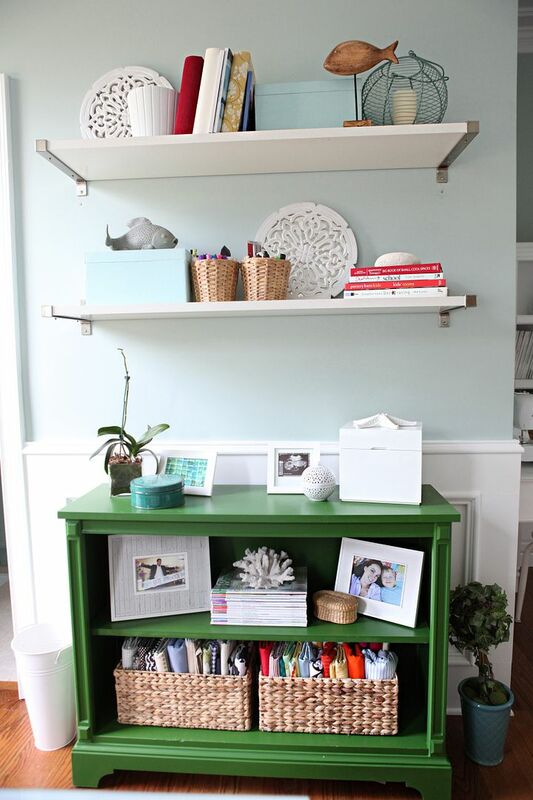 You’ll see this lovely green storage cabinet when you visit Susan’s blog. It sits on the other side of the room. Isn’t this a fun fabric scrap jar! I like her cute inexpensive storage containers and that adorable toy Singer! All neat, tidy and portable on a metal tray! This antique china cabinet is probably my favorite piece from the room and what drew me in! 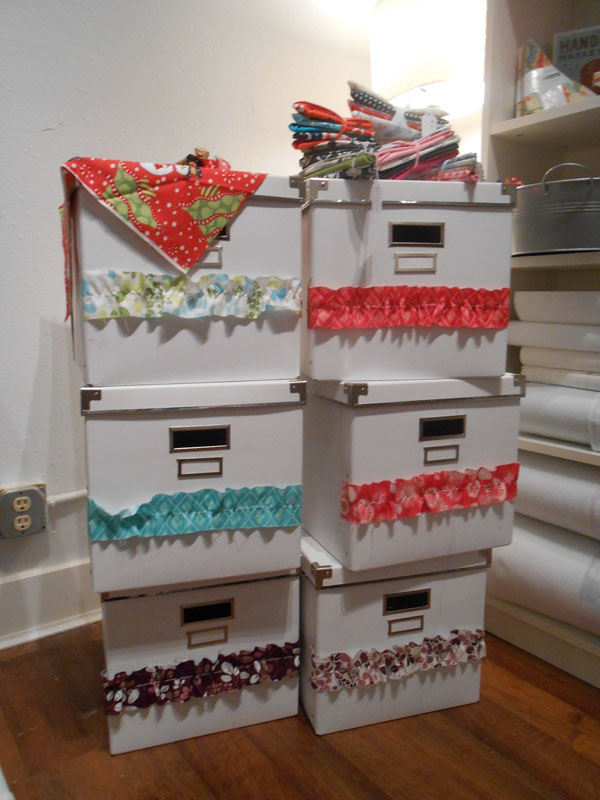 Such a pretty way to store and display fabric, quilts and assorted jars of what nots. I’ll leave you with these photos to drink in. Head over to Maple and Magnolia for MANY more photos of this cute sewing studio along with the details of the furnishings. There’s also a sitting area in this room that is quite inviting. Thanks for stopping by, we appreciate your visits!